Well it’s been a busy year so far and I can’t believe almost 6 weeks have passed since since my excessive New Year’s Celebration. So far this year, I have averaged about 3.5 miles per day and covered 144 miles as of February 10th. I plan to make sure that I walk a minimum of 100 miles each month which really isn’t very hard at 3.5 miles a day. While researching the history of St. Croix in my spare time, I discovered two interesting facts which will end up as two separate books. 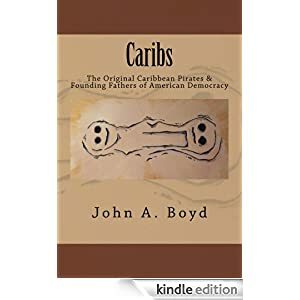 From the island of St. Croix, the Caribs fought a 55 year war with the Spanish Conquistadors which delayed the settlement of Puerto Rico. In the condensed version, they taught the corsairs and Buccaneers how to survive in the tropics, their tactics for raiding the Spanish with minimum loss of life and their principles of universal male democracy which never existed anywhere else in the world. These principles of Male suffrage were adapted by the Pirates and influenced the American System of government as the pirate contracts were prominently displayed in very popular books published during the Golden Age of Piracy and prior to the American Revolution. 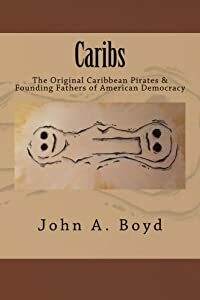 The second book is specific to the Pirates of St. Croix. Seems with all the Captain Morgan Money and the fact that the Distillery is on St. Croix, you would think the topic is well researched. St. Croix does make almost every top ten Pirate island list but local historians keep saying the Pirates worked from St. Thomas which is simply not true and St. Thomas never makes a top ten list by any global researchers. Unfortunately pirates were a secretive bunch and so this topic is slightly tougher to research. If I don’t get caught up in other topics, I hope to have the book of St. Croix pirates done by 2014. Meanwhile when hiking in Judith’s hill, I discuss the St. Croix connection to Treasure Island, the youngest pirate (age 11), the connection to Pirate Jean Lafitte, hero of the Battle of New Orleans, and many other St. Croix pirate stories. And yes, their probably was buried treasure on the island. This entry was posted in 2012 Season, Judith (Soldier) Hill, Judith's Hill, Salt River. Bookmark the permalink.